The greatest home run hitter in the history of the World Series was play 500 Home Run Club®Member Mickey Mantle. “The Mick” hit a total of 18 memorable dingers while leading his beloved Yankees to seven World Series titles. 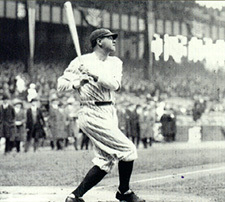 Babe Ruth hit 15 home runs during 10 World Series. He also pitched in two of the three Fall Classics in which he led the Boston Red Sox to World Series championships (1916, 1918) After being sold to The New York Yankees, The Babe played in 7 more World Series; with the Bronx Bombers winning four titles between 1921 and 1932. Four of the Top 10 all-time Home Run hitters went on to hit more than 500 career round-trippers, thereby qualifying for entry into the league’s most elite group: The 500 Home Run Club.